When household appliances need repair, help is just a phone call away. The team at Mr. Appliance® of The Tri-Cities works on all types and brands of appliances, so can count on our highly trained experts to provide the fast and effective service that you need. We know that you rely on your kitchen appliances and laundry room daily. 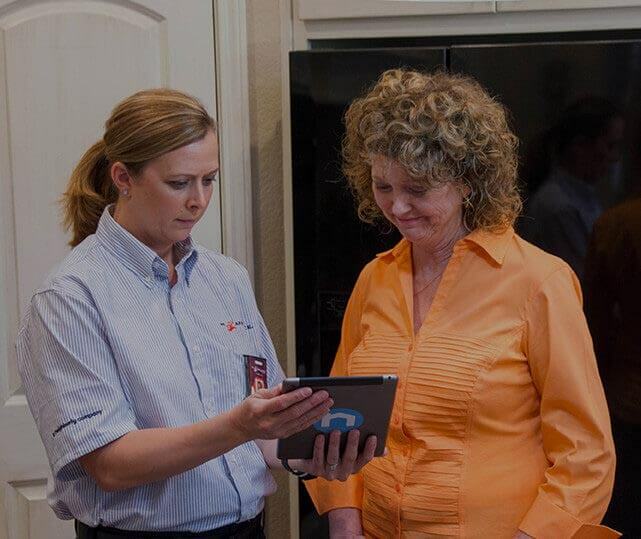 Our technicians can get your home running smoothly again in no time. At Mr. Appliance of The Tri-Cities, we work around a schedule that is best for you. Morning repairs or afternoon calls are no problem! Our highly trained, courteous technicians will arrive promptly at your home because we know that your time is valuable. We also guarantee all of our parts and services for one full year, so you can trust that we will leave your home in better condition than we found it. Call (423) 436-0572 to schedule your next service. Now Hiring Full-Time Technicians Send Your Resume Today! At Mr. Appliance of The Tri-Cities, we provide upfront, flat-rate pricing—which means that you will pay by the job, not by the hour. You can also expect to receive an accurate price quote before our work begins, so there won’t be any surprises after the job is finished. Our fully appliance repair technicians can show up whenever it’s convenient for you, so don’t wait to give us a call! We stand behind the work that we do, which is why we guarantee all of our appliance repair parts and services for one full year. To help prevent future appliance problems, we also offer economical maintenance services. If you are ready to schedule your next service with Mr. Appliance of The Tri-Cities, please do not hesitate to call. We will waive the diagnostic fee when you schedule repairs! Diagnostic Fee Waived with Repair Book Your Repair Today!